Looking on their website, there are some types of sponge to try. Σ(ﾟДﾟ) Depend on your skin needs and type. You can check their website HERE for further information about their products, Their store is based in Indonesia. I choose to try the Moon Korean Ocher, it suits all skin types and especially for those with hyper-sensitive skin which is really for me, HAHA! 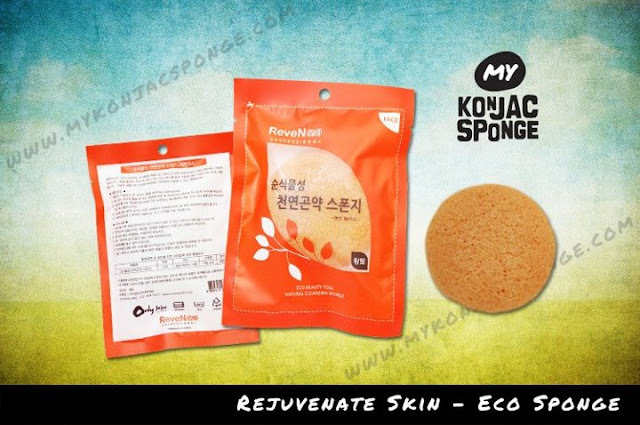 This Konjac sponge is made from 100% Natural pure vegetable fibers and without addictive and coloring. Sounds 100% natural and healhty right!?? "This natural sponge is excellent for all skin type, especially for those with hypersensitive skin because it is made of 100% pure vegetable fiber and processed without any coloring and addictive. Enriched by the world most famous Jeju water in Korea (Registered as UNESCO HERITAGE SITE), this sponge is a perfect choice for everybody who enjoy first – class skin care for soothing, cleansing, smoothing and age – defying treatment." 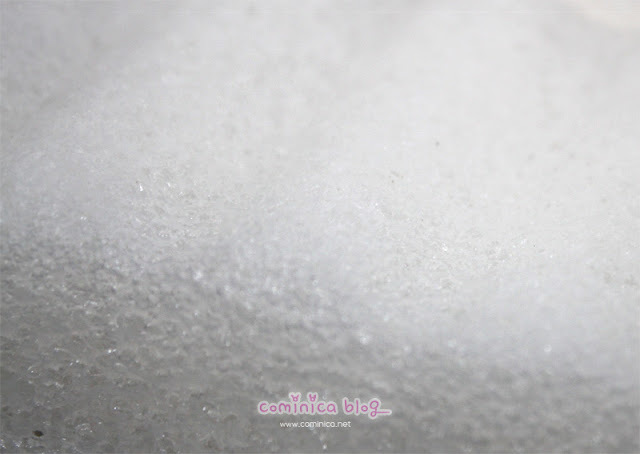 Closer look to the Konjac Sponge. ✩ Make my face so soft and smooth! ✩ Has many kind of Sponge to try, I want to try the blue one next time. ✩ Even though is soft and smooth but I feel kinda drying, lol I need to put extra cream after cleansing, but the result is amazing though! Maybe I shouldn't rub to HARD and use it only once a day, mwahahhahaha. (I personally think, people with dry/normal skin shouldn't use it too often). 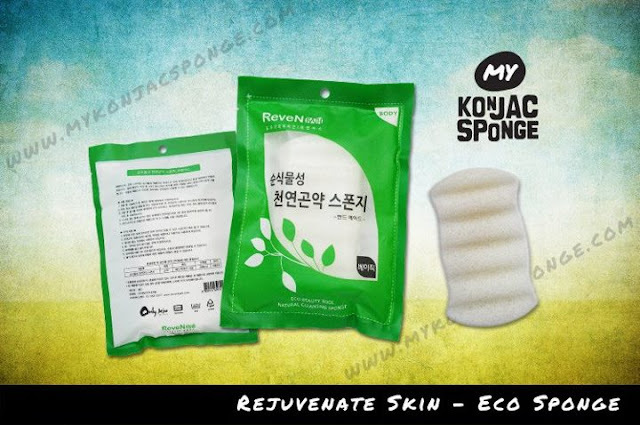 BTW, I got another sponge from Konjac Sponge that time, they gave me a Body Sponge " 6 Wave Original" to try! Zoom to the 6 wavy side! I have use this Sponge for a week too! So far, it works so Great! I feel my skin is become more more softer, when I say softer it really IS. The sponge remove my dead skin and OIL, Reduce redness and prickly heat because of skin allergy. I can't stand the heat, my workshop is freaking hot even though there is an air conditioner @_@, and I always suffer from prickly heat EVERYDAY, yeah BUT, this Sponge is really my life saver! HAHA, not only reduce the prickly heat, it removes itchiness and the nasty Oil after sweating for the entire Day!! YAY! Thank you so much for making this international! I don't know if they have it here in New York! I would love to try this. Just join your giveaway sista ^^ and thank you for the review. joining.. looks like a really good product to try! Aww...makin penasaran aja pengen coba setelah tadi keracunan di blog nya phanie, disini nambah racun juga, lol. Next mau coba ini kalo cleansing pad udah pensiun. Btw enakan pake ini ato cleansing pad? wah, beneran wajib dicoba kalo gitu, bulan depan di cleansing pad nya pensiun langsung genti coba ah. kalo mau beli ke fb nya langsung aja kah? i really really like your blog! i also voted for"